While critics and audiences alike tangle over one instance of superheroes fighting each other, another film is fast approaching that pits costumed brother against costumed brother. 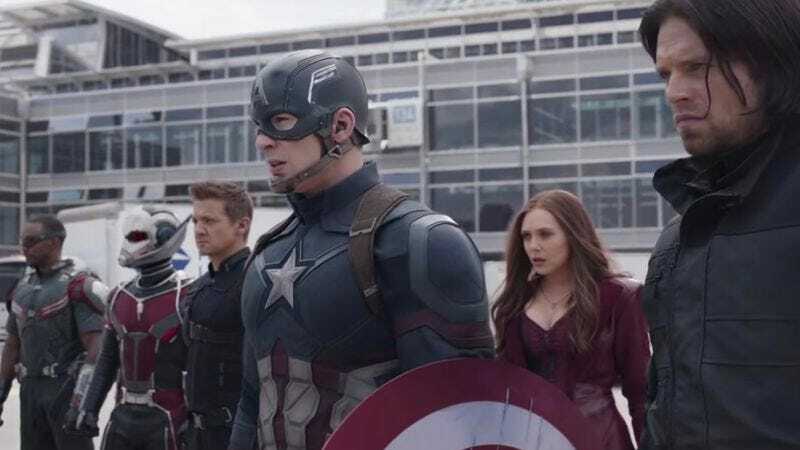 Captain America: Civil War opens in theaters on May 5, and now there’s a supercut that outlines what brought Marvel’s heroes to this point of contention. Made by MCU Exchange, this video collects footage from most of the Marvel movies (sadly, no Guardians Of The Galaxy or Ant-Man footage), including moments from Agents Of S.H.I.E.L.D. and Jessica Jones to outline the beginnings of the central feud in the latest Captain America film. “The Road To Civil War” is a stirring account that acts as a running tally of all that has transpired in the Marvel Cinematic Universe, but also shows the consequences of those actions. The events of The Avengers in New York City, Thor: The Dark World in London, and Avengers: Age Of Ultron in Sokovia, and others all weigh heavily both on the world’s governments but also on some of the consciences of the superheroes involved. Add a thread of Captain America’s continued search for and attempt to redeem his friend Bucky from Captain America: The Winter Soldier, and the video depicts the emotional weight behind this superpowered slugfest as well.